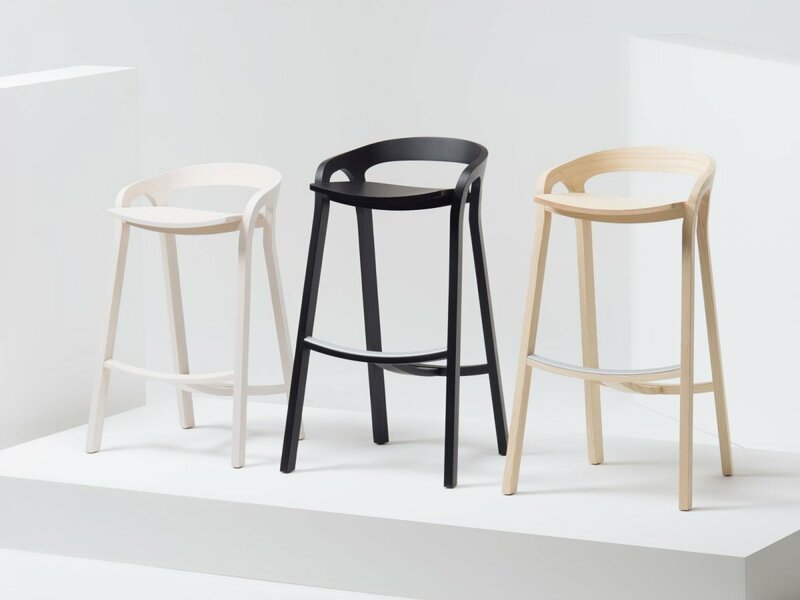 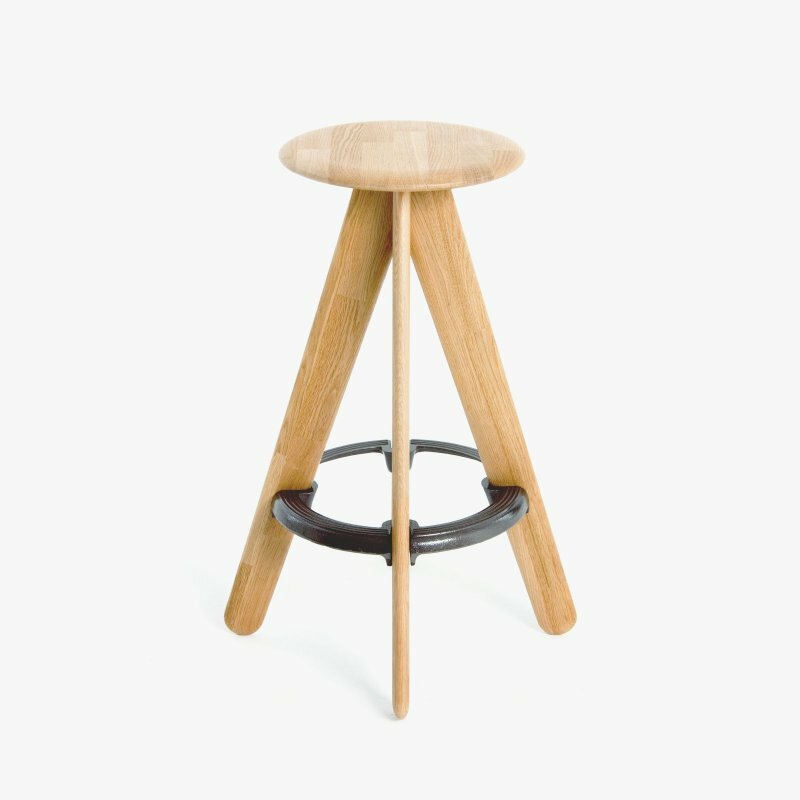 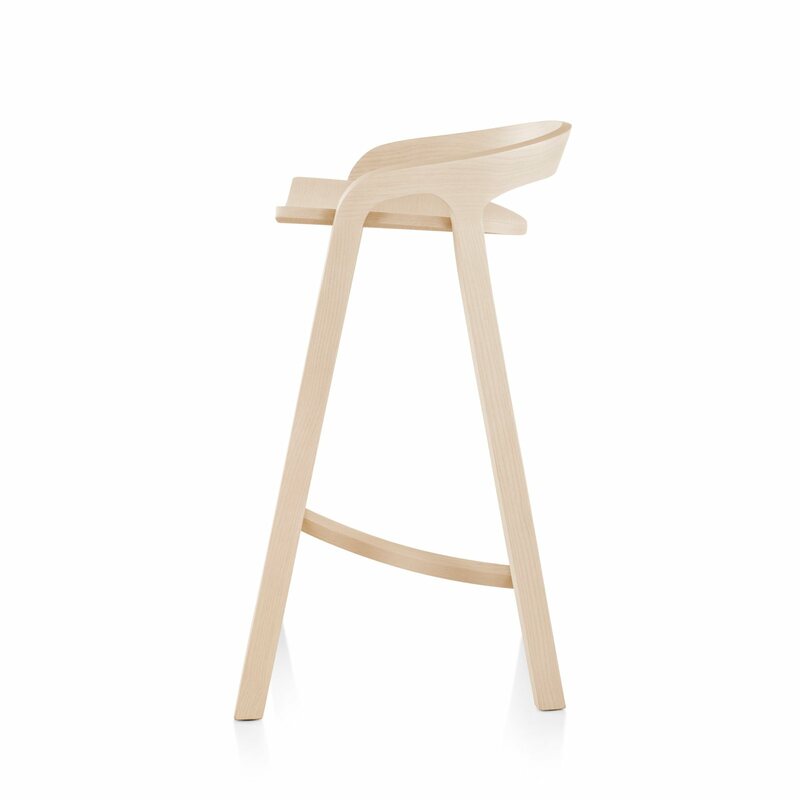 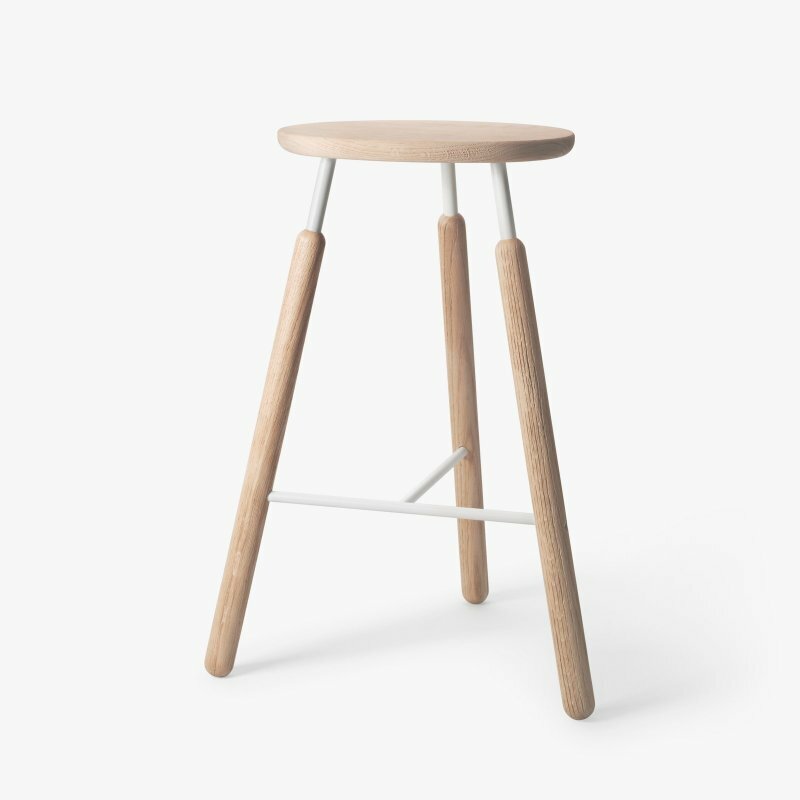 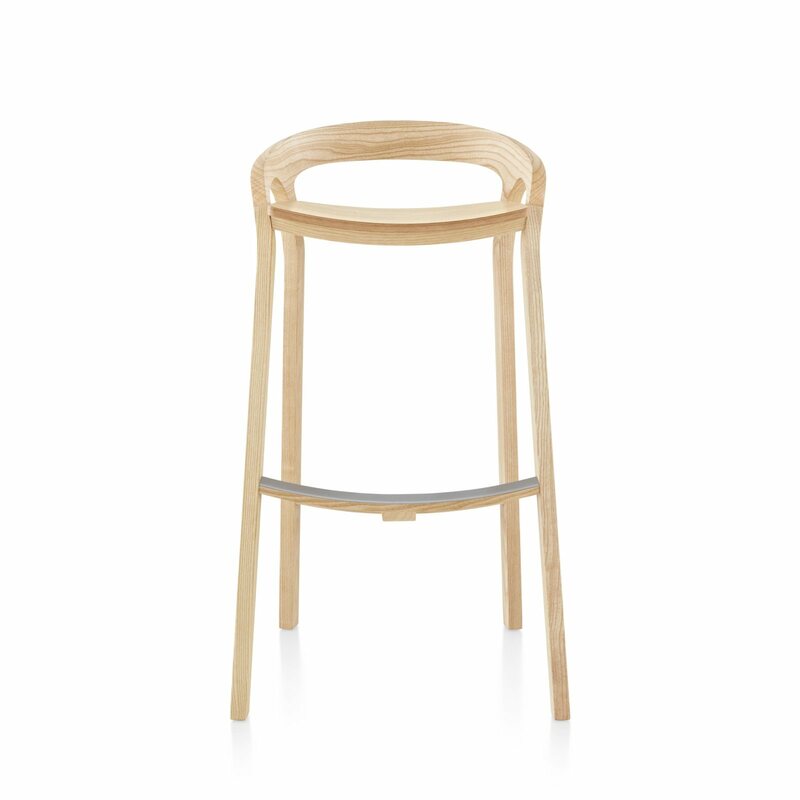 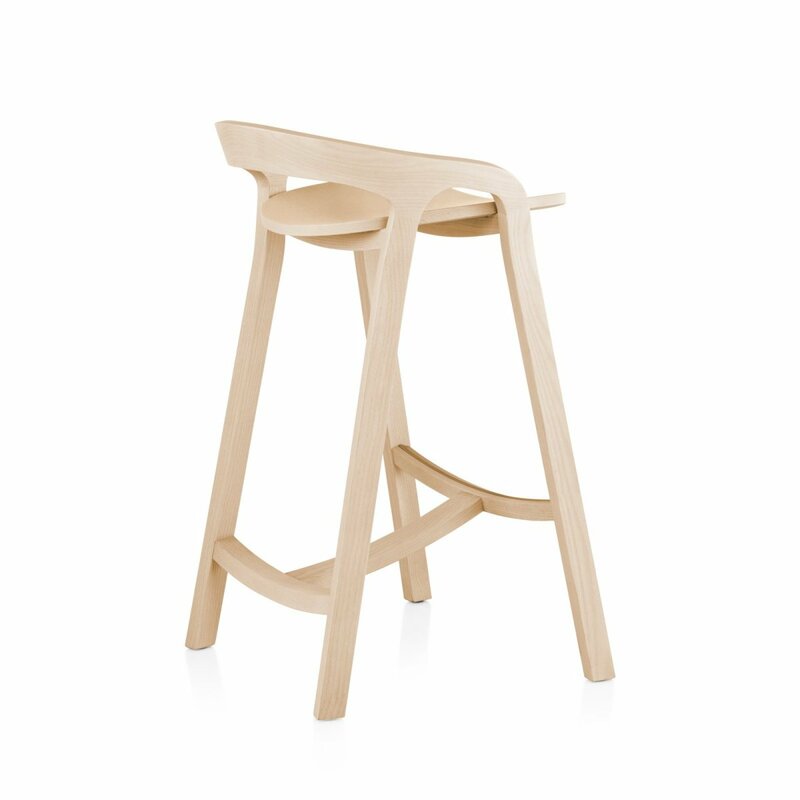 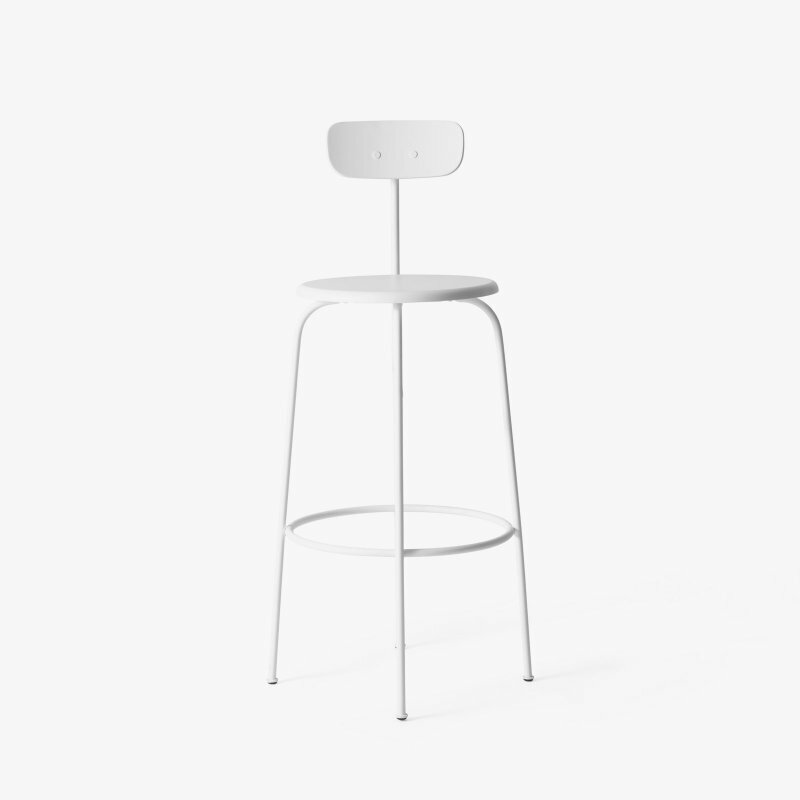 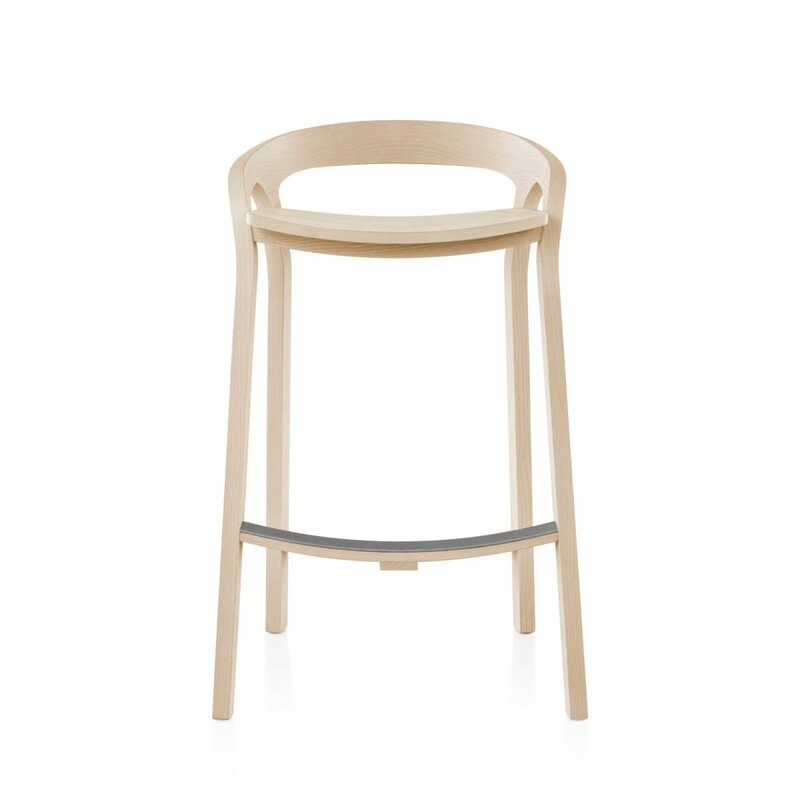 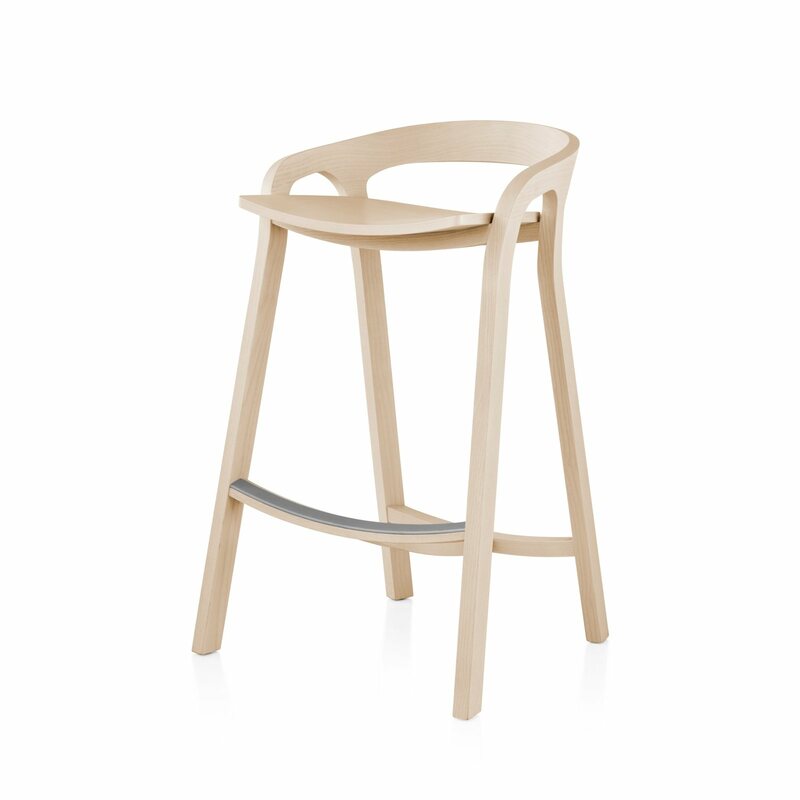 She Said Stool is a wooden stool with natural and simple beauty, designed by Studio Nitzan Cohen for Mattiazzi. The gently curving backrest, sculpted seat, long legs, and artfully placed footrests of this sophisticated stool showcase Mattiazzi&apos;s advanced technology in solid-wood carpentry. 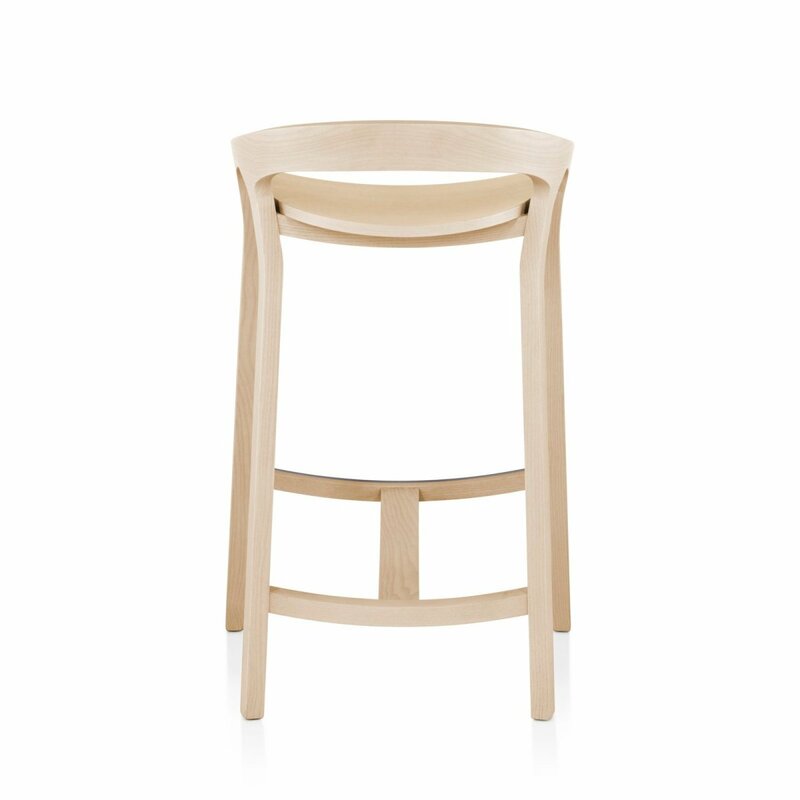 An elegant and versatile continuation of the He Said, She Said line, it is available in two heights and four wood finishes.